The UMBC men’s basketball team will bid farewell to the Retriever Activity Center (RAC) on a high note this week. Undefeated at home this season, the team plays one final game in the RAC on January 27 before moving to the new UMBC Event Center for its official opening on February 3. Kickoff events will continue on February 8 as the women’s basketball team takes on Binghamton. 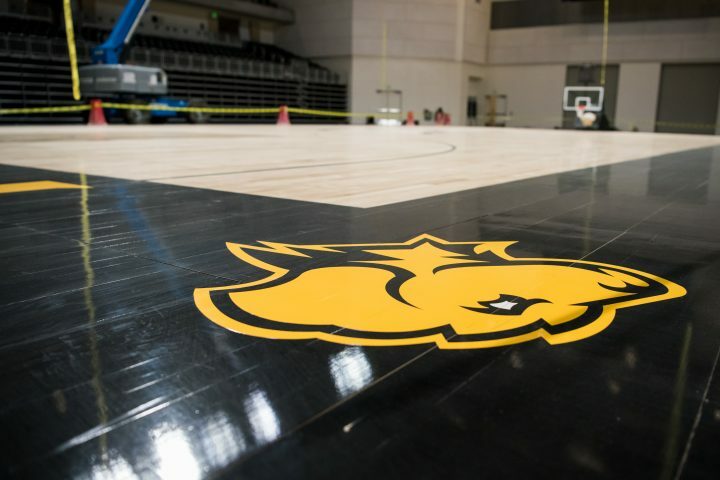 In addition to serving as the home for men’s and women’s NCAA Division I basketball and women’s volleyball, this major new UMBC facility will also host to cultural events, concerts, and popular guest speakers. 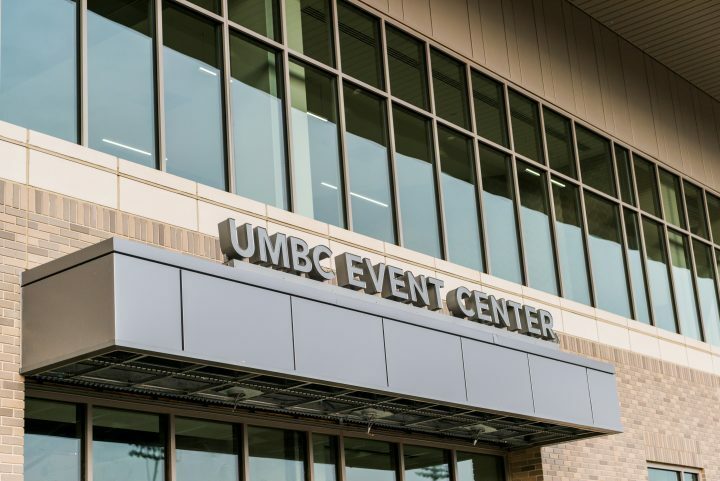 The opening of the Event Center offers a particularly exciting opportunity for UMBC to bring spring commencement back to campus for the first time in two decades. After outgrowing the RAC, the ceremony was moved to Baltimore’s Royal Farms Arena. The UMBC Event Center, with around 6,000 seats, will offer a large enough space to honor UMBC’s next graduating class in May 2018. Spanning an impressive 172,000 square feet, the Event Center will include a practice gymnasium, athletics department offices, state-of-the-art strength and conditioning and academic support centers, a sports medicine suite, multimedia spaces, meeting facilities, and the UMBC Athletics Hall of Fame, which features highlights from the past 50 years. 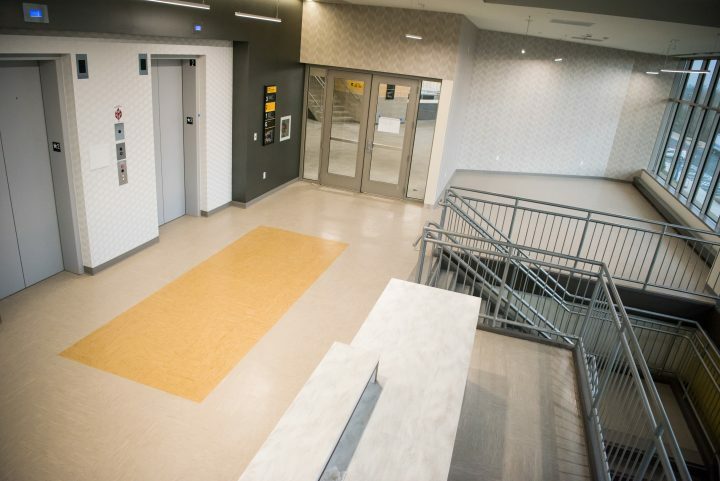 Two community preview days will take place ahead of the official UMBC Event Center opening. 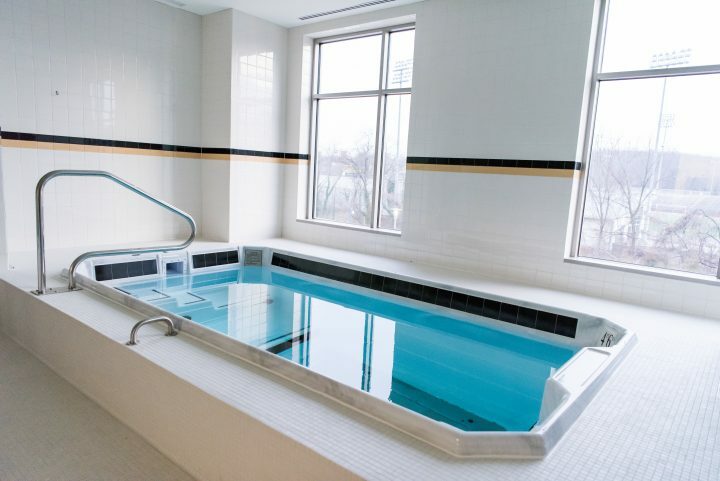 The UMBC campus will have the opportunity to tour the facility and sample concessions on January 31, noon – 3 p.m. The local community is invited on February 1, 4 – 8 p.m., to enjoy tours, family-friendly activities, and light fare. For media coverage of the UMBC Event Center opening, see Fox45, ABC2, The Baltimore Sun, and Baltimore Business Journal.